Lead Generation Marketing | SEO Marketing | Mann & Co. Inc.
Do You Need More SEO Traffic? Google gets about 100 billion searches per month. People are online looking for any and all information. And Google is often the best way to find that information. For businesses, ranking well for searches is essential. The better your rankings, the more traffic you receive and the more business you close. Obviously, that’s what everyone wants, but it’s not always that easy to achieve. That’s why we offer a variety of SEO packages to help your business achieve great SEO rankings. This package begins in the first month with the researching of your company, customers, and industry. You then receive an SEO strategy that will achieve the rankings you desire. It includes identifying relevant keywords, a content strategy, outreach and more. Starting in the second month, the on-page SEO changes begin. It includes making changes to your website like the content on your pages. It also includes updating things like title tags, meta descriptions and more. Building reputation signals for your brand online also begins. It includes creating content, which could be blog posts, guest articles, videos and more. Each package varies slightly depending on your company’s situation. The SEO strategy might include an effort to get more online reviews. It might include an effort to get your business listed on the main directories or “best of” lists for your industry. These strategies would likely include some outreach effort. Local SEO is ideal for a business with a physical location. Restaurants, dental offices, record stores and everything in between. First, comes the research and data gathering with research into your business, the industry, the competition and your target customer base. Keywords are identified that are critical to your business. 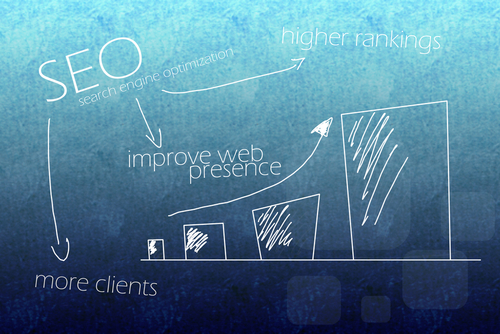 Local SEO has extensive onsite optimization. The content on your site may need to be updated including the text on the page, things like title tags and meta descriptions. It may also include schema markup. This matters immensely for Google’s rich search results. Local businesses need to show up on Google maps and other productive result areas. With Local SEO there is also off-site effort. It includes working to build links. Getting the business listed on the main directories and “best of” lists. It includes content creation that may include blog posts or videos or other forms of content. Also important are Local Citations. A local citation is a mention of your local business on another website or web page. This package includes making sure your business is being mentioned online. That could include encouraging people to leave online reviews, reaching out to bloggers and more. This package is ideal for larger businesses or those with very aggressive SEO ambitions. It begins with initial research into your company and industry. Then the identification of a large list of relevant keywords including long tail keywords. Next comes onsite optimization. Looking through your content and making updates based on the keyword research. Also included is all the behind-the-scenes optimization like title tags, meta descriptions, scheme, rich snippets and more. You also receive content for your website. Blog posts, videos and more depending on what is right for your business and situation. Then comes an aggressive off-site SEO campaign. You receive citations for your business and mentions of your brand online on other sites. It comes through outreach to bloggers, publications, customers and more seeing if there is an opportunity for them to mention your brand. This package includes a social media element as well. You receive the important social followings for your brand and look to build engagement. Also included is reporting. You’ll receive regular ranking reports that show how you’re ranking for all the relevant keywords. Google Analytics is set up to analyze your website as are linking reports. You also receive executive summaries so you can view all the reporting in an easy-to-read format.